Tre Voci—Peabody faculty artist Marina Piccinini, flute; Kim Kashkashian (BM '73, Viola); and Sivan Magen, harp—will perform in a Sylvia Adalman Chamber Series concert on Friday, November 6, at 8:00 pm, in Leith Symington Griswold Hall. 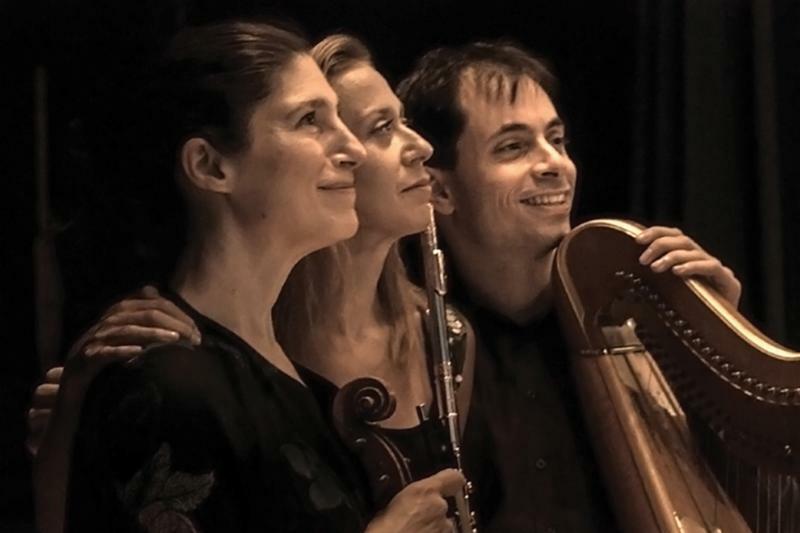 The trio, who first played together at the 2010 Marlboro Music Festival, will perform Johann Sebastian Bach's Trio Sonata in G major, BWV 1039; Béla Bartók's Hungarian Peasant Suite and Romanian Dances; Claude Debussy's Children's Corner Suite and Prélude à l'après midi d'un faune; and Sergei Prokofiev's Suite from Romeo and Juliet. Tickets for the performance are $15 for adults, $10 for seniors, and $5 for students with ID. For other events featuring Peabody performers, please visit our Peabody Institute Concerts Facebook page. The full calendar of events at Peabody can be found at peabody.jhu.edu/events. Your generosity enables Peabody to provide the one-to-one, artist-to-student teaching that is critical to musical development. Help secure our tradition of inspiration for another 150 years!